The tundra biome is characterized by its extremely cold weather and lack of biodiversity. The tundra is traditionally described as including the northern Arctic Circle, along with high mountainous regions. However, the northern coast of Antarctica and some Antarctic islands, such as the South Georgia and Scott Islands, can also be included in this biome. Two penguin species breed and live only in Antarctica and the surrounding tundra islands. The Adelie and Emperor penguins are exclusive to this region. Adelie penguins are typified by their blue eyes and tuxedo-like feather pattern. The Emperor penguin, perhaps the best known of the penguins, is also restricted to Antarctica. The largest of the penguin breeds, the Emperor penguin can grow to a weight of 90 pounds (41 kilograms). Members of this breed also venture fairly far inland. During breeding season, Emperor penguins can travel up to 56 miles (90 kilometers) into the continent. Three other species of penguin will venture onto the main Antarctic continent: the Chinstrap, Gentoo and Macaroni penguins. Chinstrap and Gentoo penguins also spend part of their time on sub-Antarctic islands. Macaroni penguins spend 75% of their time at sea and breed on Antarctic and sub-Antarctic islands, with one colony breeding on Antarctica proper. 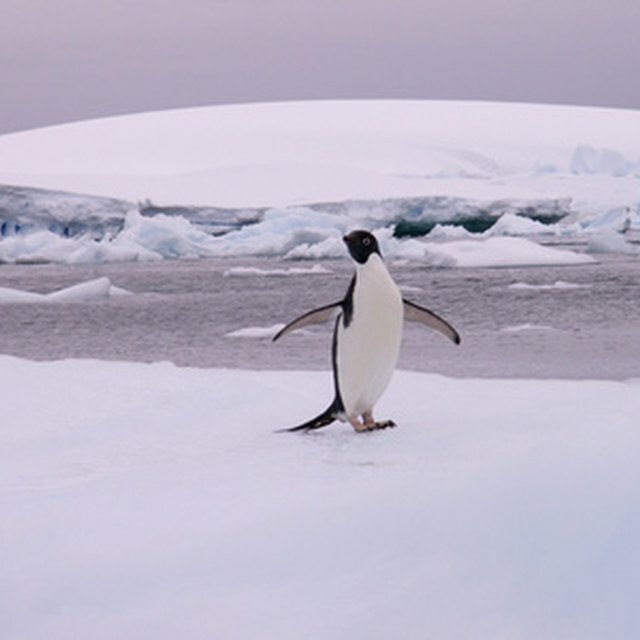 Two other penguin species can be found in tundra-like regions near Antarctica. 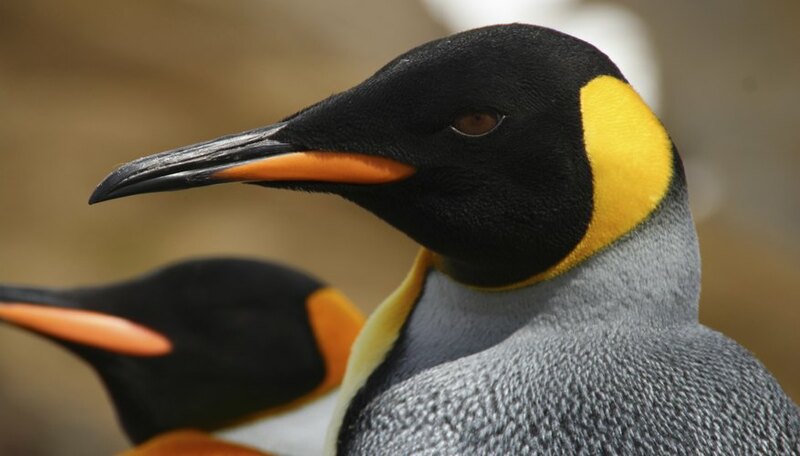 King penguins are the second largest penguins and tend to gather in huge colonies comprised of thousands of birds. Of all the penguin species, the young of King penguins have the longest rearing season, sometimes lasting up to 18 months. Rockhopper penguins also live in tundra-like regions. However, they are found more frequently on southern Atlantic Ocean islands outside of the Antarctic polar front. Michelle, Meg. "The Penguins of the Tundra Biome." Sciencing, https://sciencing.com/penguins-tundra-biome-8086984.html. 25 April 2017.